Smart home components are not inexpensive. A single traditional switch can cost a little as a dollar while its smart counterpart can cost more than $30.00. While these upfront investments might seem overwhelming, you will probably find yourself saving more money in the long run. 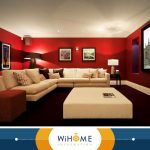 Let us explain why investing in custom home automation can benefit you in the long run. Installing smart thermostats is an effective way of saving energy in your home. With traditional programmable thermostats, you save energy by running the cooling and heating system as soon as you are home. A smart thermostat automatically knows when you are home. By effectively optimizing your home’s air regulation, this will instantly lead to reduced energy consumption and lower utility bills. Apart from heating and cooling, lighting takes up the next largest block of electrical consumption. Like smart thermostats, smart lights can be linked to activity sensors, so they will instantly switch on when you enter a room and turn off when you leave. Leaving fans, appliances and other electrical devices plugged in is a costly waste. For homeowners who have smart sockets installed in their home, managing their home’s electrical power is a snap. With this technology, homeowners have the power to quickly turn off their electrical consumption on anything they plug into a socket. Always remember that you don’t need to get all of these items at once. Start with what’s most important to your household to make your life easier. 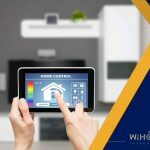 Home automation is a wonderful idea if you want to save on utility costs. It may seem complex and costly, but if you are after long-term savings, this is a worthy investment. 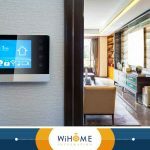 When looking for a smart home installation company, look no further than WiHome Integration. 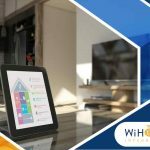 Our top-notch home automation gear provides quality performance that will benefit every household. We offer our services throughout the areas of Fairfax Station, Arlington County and Leesburg, VA. Call us at (703) 436-4110 so we can discuss your home automation needs.